Scent: Sweet, lemony, fresh, with a woody hint. Action: Analgesic, antiseptic, antiviral, antibacterial, antifungal, deodorant, expectorant, insecticidal agent. Benefits, Indications: Asthma, athlete's foot and other fungal infections, respiratory infections, cuts, dandruff, fevers, herpes, infectious skin conditions, laryngitis, scabs, shingles, sore throat, sores and wounds. Arthritis, bronchitis, catarrh, cold sores, colds, coughing, fever, flu, poor circulation, sinusitis. More Info: Eucalyptus citriodora essential oil is a valuable asset when treating athlete's foot. It is also effective against a wide range of respiratory conditions such as asthma, sinusitis, phlegm, coughs and colds, as well easing sore throats and laryngitis. Vaporized, lemon eucalyptus oil has a reviving and refreshing action that uplifts, yet is also calming to the mind. 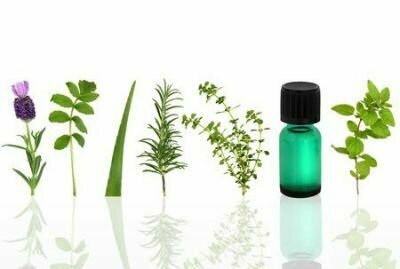 Precautions: Eucalyptus oil should be used with care and people with high blood pressure and epilepsy should avoid it. Excessive use of this oil may cause headaches. [Insecticidal action of synthetic girgensohnine analogues and essential oils on Rhodnius prolixus (Hemiptera: Reduviidae)].